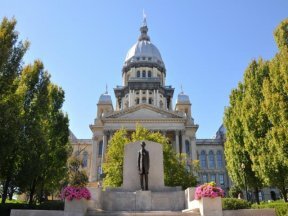 Under a new law signed by Governor Bruce Rauner on Monday, Illinois became the tenth state with Automatic Voter Registration (AVR). 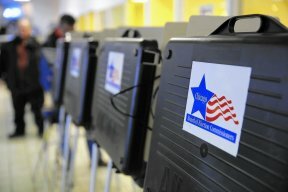 Now, applications from US citizens for standard state driver’s licenses and state ID cards will double as applicants to register to vote for the first time or update their addresses if the applicants have moved. The Secretary of State will transmit records to the State Board of Elections. The State Board will, in turn, transmit records to local election authorities, who then must mail voter cards to verify the applicants’ addresses. “We will have more people registered everywhere in Illinois. We’ll have less paperwork. We’ll have fewer people trying to figure out last-minute registrations in the final weeks before an election. We’ll have verification mailings. Most importantly, we’ll have more participation. Everybody wins in this system. This represents dedication to free and open elections,” said Chicago Election Board Chairwoman Marisel A. Hernandez. “At our agency, this will mean less stress on our election systems. With AVR, we should see a steady flow of updates throughout the year, instead of peak periods of hundreds of thousands of last-minute registrations in the 45 days before every election.” The new AVR law passed 48-0 in the State Senate and 115-0 in the State House of Representatives.